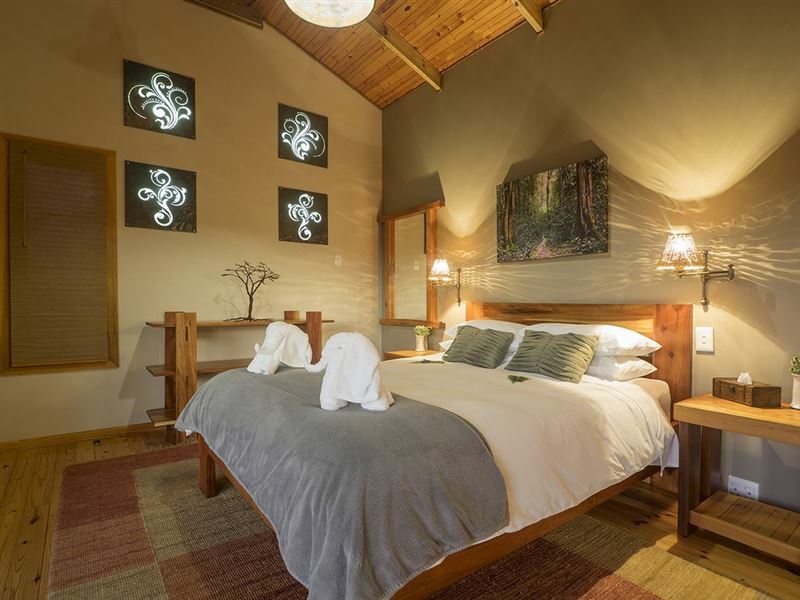 Cliffhanger Cottages are located along the Rheenendal road where you can enjoy the peace of the unspoilt country, yet are only a 15-minute scenic drive on a tar road to the centre of Knysna. Buffalo Bay, a beautiful and safe swimming beach is also a 15-minute drive and the Knysna forest is 10 minutes away. 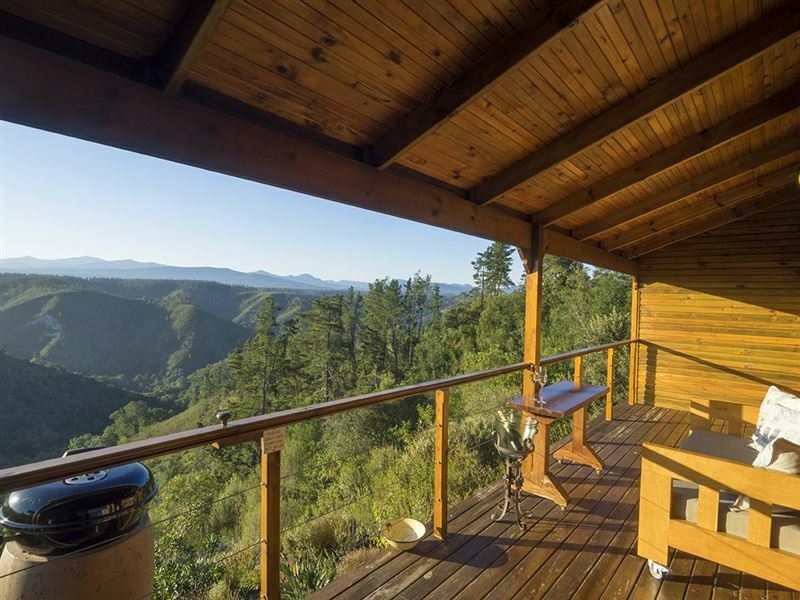 CLIFFHANGER COTTAGE is a luxurious self-catering timber chalet perched on the edge of a steep drop into a forested valley with sweeping, unspoilt views of the Outeniqua Mountains. This is an ideal hideaway for honeymooners, lovers and nature lovers. 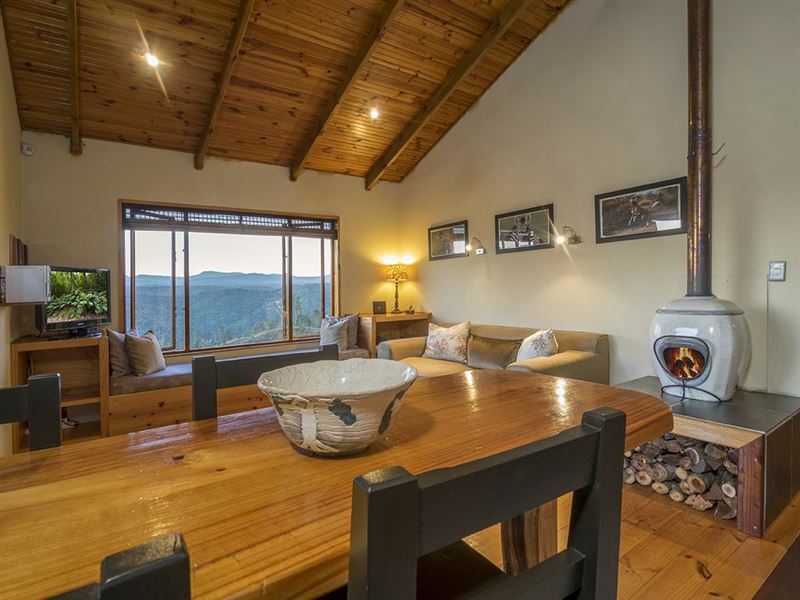 Cliffhanger cottage is a very spacious chalet featuring one bedroom, a bathroom with basin, bidet and a very large shower with a view, an open-plan lounge, dining and fully equipped kitchen all warmed by a fire pot on those chilly winter nights. A covered and semi-enclosed deck with Weber braai completes the picture. The deck has a comfortable couch as well as chairs and side table. TV, media player and satellite decoder with easy view. For the full DSTV guests must bring their own decoder and smartcard. All rooms have large windows facing the panoramic view. 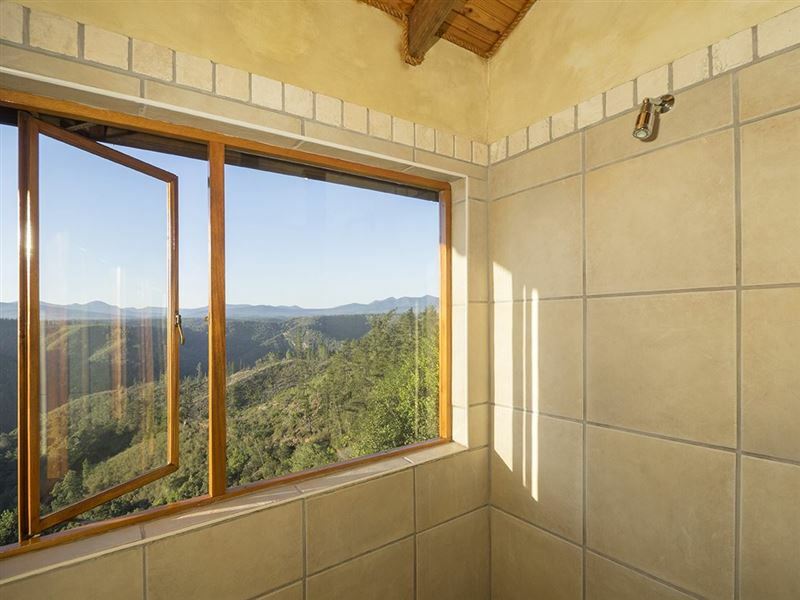 CLIFFEDGE COTTAGE is completely private, once there you could be the only people in the world. 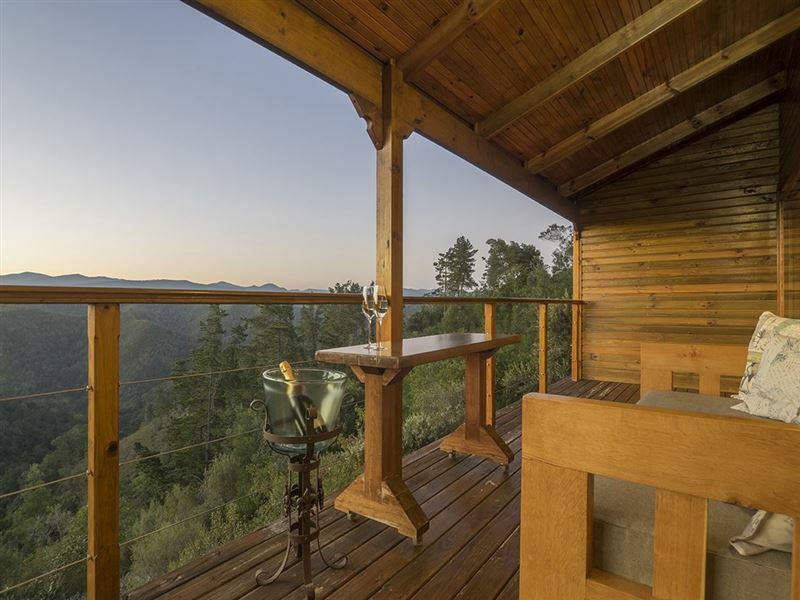 Spectacular is the word that describes the views from this modern self-catering timber cabin. 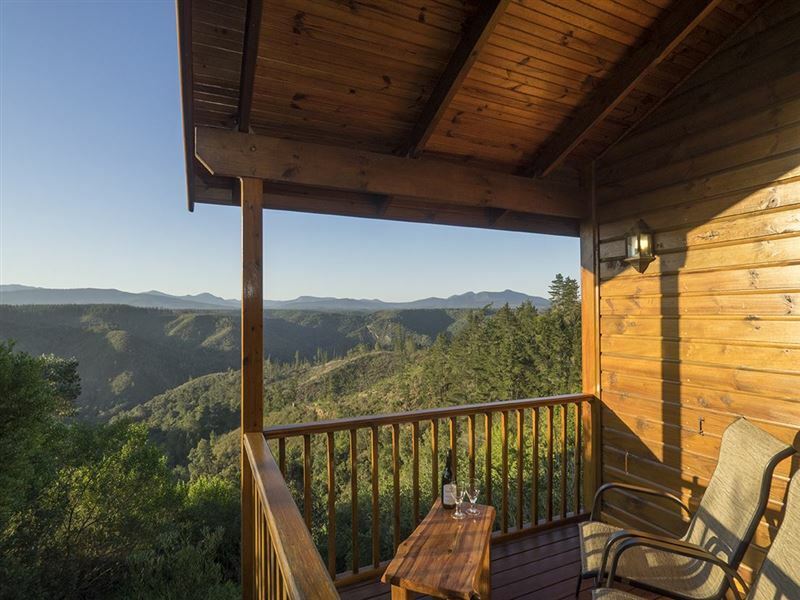 From the spacious deck you look down on the trees and the birds flying in the valley below, across to the Knysna forest with the Outeniqua mountains beyond. If you are on honeymoon or just want to spend some quality time with your partner in total privacy then this is the place to be with a spacious open plan design flowing onto a full-length deck, a large shower with a view, luxurious furnishings and a fully equipped kitchen, Cliff Edge Cottage has all you need for a fabulous break. Flatscreen TV, , and open view decoder with easy view. For the full DSTV guests must bring their own decoder and smartcard. HEDGE COTTAGEis our budget accommodation in a lovely garden setting. It is a comfortable bed-sit suitable for two people and makes an ideal base from which to explore the region. 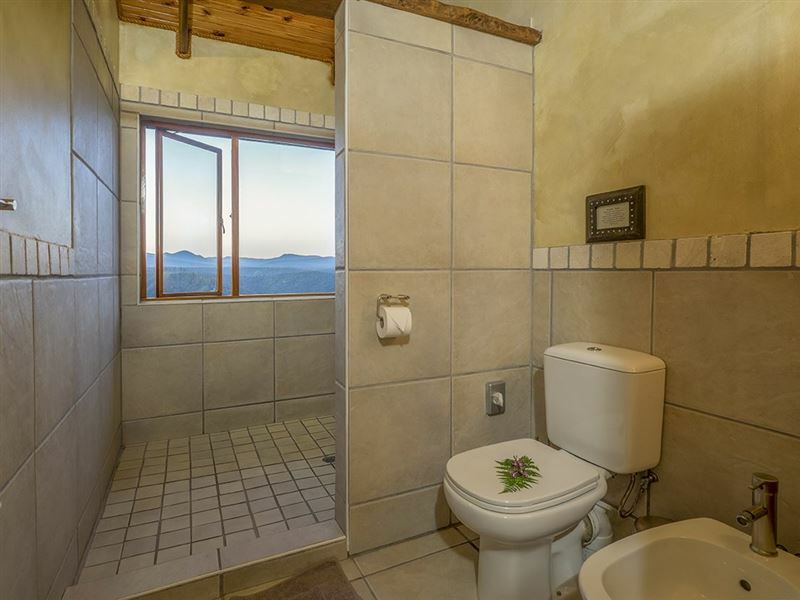 It comprises a well-equipped kitchenette, a bathroom with a spacious shower and a covered patio with a braai. There are beautiful views from both the bed and the patio. The unit is also equipped with a TV, DVD, and a satellite decoder with easy view. For the full DSTV guests must bring their own decoder and smartcard. A great place to just stay and relax. Would definatly come back again. We stayed in CliffEdge and it was spectacular. The view is indescribable and the cottage is neat, clean, comfortable and beautiful. The host was friendly and very helpful. Would recommend this place to anyone. Very secluded, but close enough to Knysna for everything you need. Great hosts, great place. Best kept secret. This is a stunning cottage! It is gorgeous inside and out, with wonderful views! The surrounding area was untouched by the Knysna fires, so you won't see any signs of fire damage once at the location. My partner and I adored every second of our stay and we'd love to return in summer to experience the beauty it has to offer on a balmy summer's evening, watching the sun set. 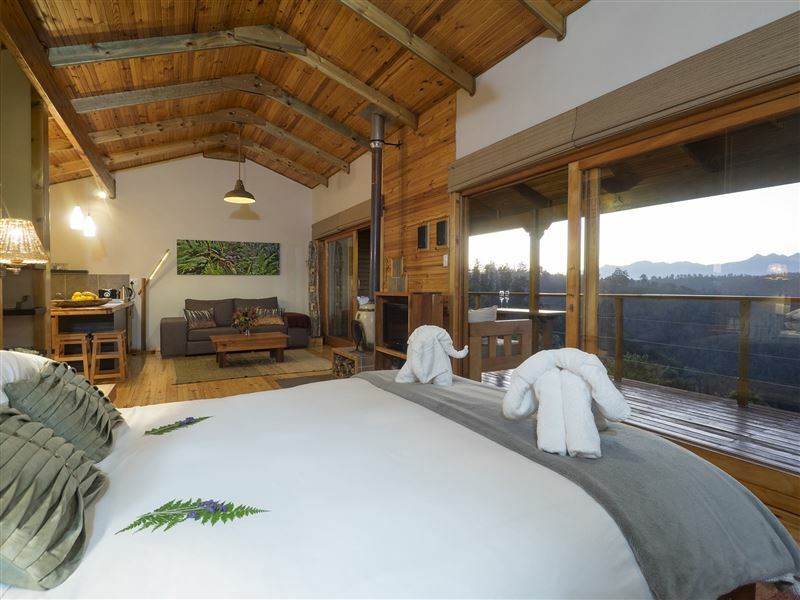 Cliffhanger is an absolutely stunning location a stones throw away from Knysna. 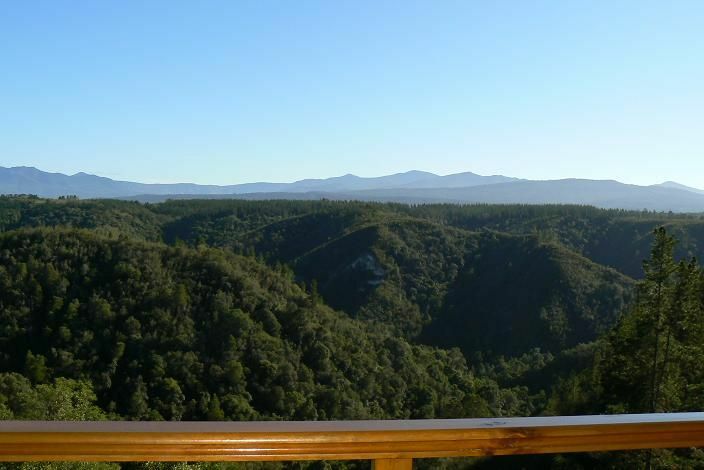 The views are amazing over the forest and the cottages are very well kept. Ingrid & Barry, the owners, have thought of everything so that your trip will be perfect. Cliff edge is the open plan cottage where we stayed. A lot more that what the doctor ordered! Excellent location. Ideal for a quiet getaway.I will certainly visit the cottage again. Request a quote from Cliffhanger Cottages at no obligation.